‘Are you sure you want to go through with this?’ Hannah paused, giving Lou a moment to consider, her fingertips tightly pinching the edge of the paper strip. With eyes tightly closed her best friend nodded. ‘Do it.’ As Hannah tore the waxed paper downwards Lou let out a shriek, the piercing cry of a doomed creature caught in a snare. Tracy Fells was short-listed for the Commonwealth Writers Short Story Prize in 2014 and Phoenix and Marilyn won 2012 ChocLit Publishing’s Summer Short Story Prize. Read the rest of this story and others by Tracy Fells in Let me Tell You a Story and hear Tracy’s own narration by scanning a QR code on the page. Available from Lulu and Amazon. 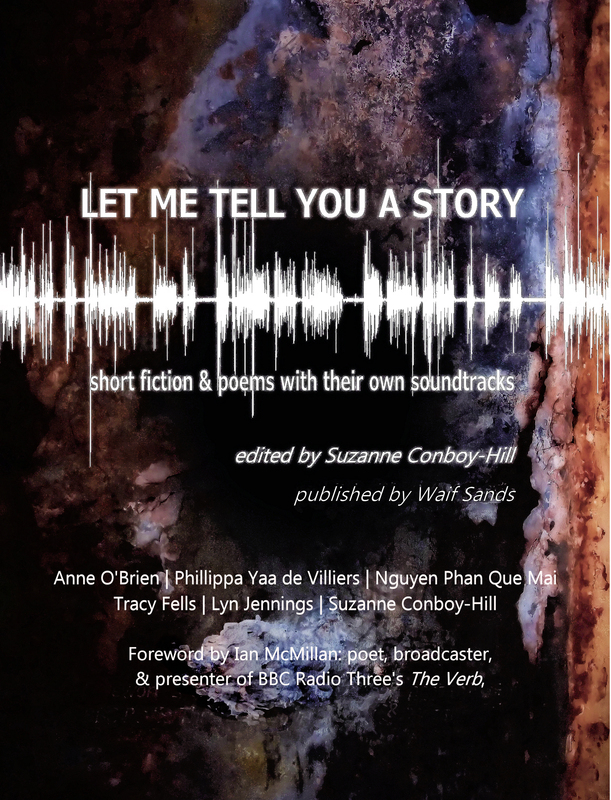 Read this poem in full in Let me Tell You a Story and hear Lyn’s own narration by scanning a QR code on the page. Available from Lulu and Amazon. woman rushed towards us, howling. Read this poem in full in Let me Tell You a Story and hear Que Mai’s own narration by scanning a QR code on the page. Available from Lulu and Amazon. Nguyen Phan Que Mai delivered the International Women’s Day poem at the 2016 UN event. “THE RAIN RUNS in muddy rivulets off the pile of earth beside his grave. No softening of the edges of this funeral. No fake grass discretely covers the mound, just a heap of mud, a pair of dirty spades, and two reluctant gravediggers in fluorescent jackets leaning against the neighbouring gravestone, silently willing us to move on so they can get the job done and head to the pub. Of course nothing will do the Ma but she has to wait until the last shovelful is put on. They pat down the soil with the backs of their spades as though they’re on a building site. Settle down on top of him and in time, when the wood rots and the earth seeps in, settle down until it kisses his face. I wish I’d kissed him now. Read on in ‘Let Me Tell You a Story’ where you can also hear Anne’s own narration by scanning a QR code. Available from Lulu and Amazon.